As you get older, sometimes certain issues can creep up on you—like having to pee frequently. This raises the question: if it is an issue, what can I do to get the works flowing again? In a lot of cases, a diuretic will help. What is a diuretic? Diuretics help get rid of the excess sodium and water in the body. They do this by encouraging the liver to excrete more sodium into the urine. There are pills, of course, but maybe you want more of a natural approach, like diuretic drinks. 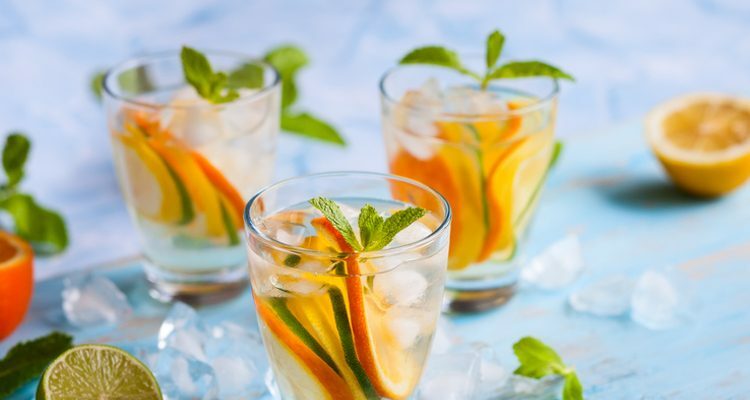 We’ve done the research and found a bunch of the best diuretic drinks around—natural diuretic drinks and some that you can easily make in your own home. Fruit juices can work well as a diuretic, but there are a number of other drinks that are diuretic in nature. Take coffee, for example. If you are one of those people who finds that drinking coffee makes you pee a little more than you normally would, there’s a reason for that. Many drinks with a high caffeine content work as a diuretic, coffee being a prime example, but this also goes for high-caffeine energy drinks—Monster, Red Bull, and so on. However, it is not recommended to consume these energy drinks on a regular basis. There are also a number of teas that can work as a diuretic. Dandelion tea has long been used as an herbal diuretic. Green tea can work too, as can parsley tea, ginger tea, and fennel tea. However, if you are used drinking too much tea or coffee every day, you might not notice any difference. There are a few other liquids you can mix together for a diuretic. You can mix a tablespoon of apple cider vinegar with a cup of warm or hot water, or add lemon juice to a cup of warm water. 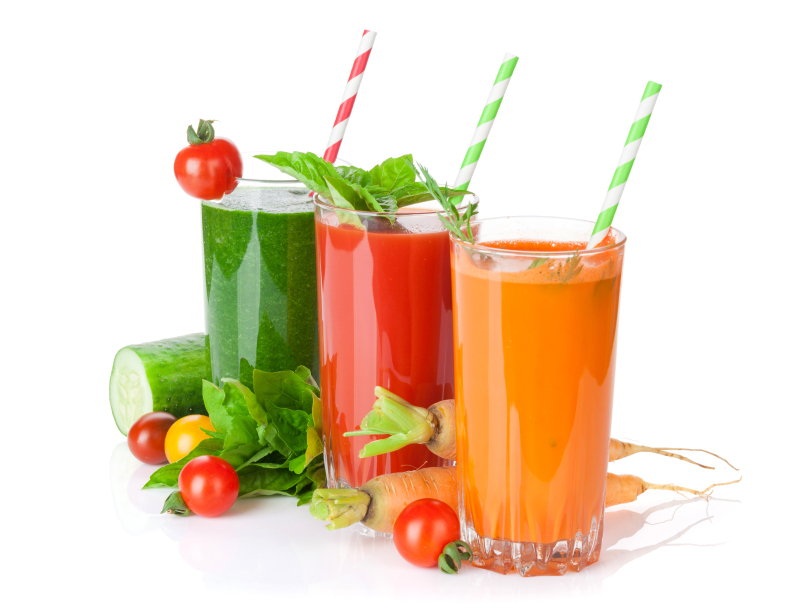 You can also consume carrot juice, beetroot juice, cucumber juice, and celery leaves in a smoothie or a soup. Now that we’ve established what diuretics can do for you in terms of water retention, let’s find out their other benefits. Are there diuretic drinks to normalize high blood pressure? Are there diuretic drinks for weight loss? While the main benefit of diuretic drinks is to help with water retention and get that sodium out of your system, there are a few side benefits to adding diuretic drinks to your diet. Diuretics can help with high blood pressure. Flushing out the sodium from your system helps lower and regulate your blood pressure. Lowering your blood pressure is good for your heart. Do diuretics help with weight loss? The answer is a little complicated, but we’ll try to make it easy to understand. Diuretics can help you lose weight only in terms of water loss and temporary loss of sodium. Also, this is certainly not the recommended way to lose weight, and there are other issues that may arise from using diuretics as a weight-loss tool—and none of them are particularly pleasant. For weight loss, there is nothing more ideal and safe than a combination of healthy diet and exercise regime. Before you start using diuretic drinks, you may want to consider the potential side effects; so it is best to consult your doctor. Diuretics can have some unfortunate side effects depending on what they are used for, their quantity, and the health of the person using them. It’s always good to be aware of these side effects before you begin using diuretic pills or drinking diuretic drinks on a regular basis. The first one to be aware of is hyponatremia. Hyponatremia is when the sodium levels in the blood are too low. Symptoms can be as minor as headaches and nausea but can escalate to seizures and comas. Luckily, if detected immediately, hyponatremia can be easily treated by regulating your sodium and fluid intake. Overuse of diuretics can also cause dry mouth, drowsiness, muscle pain, and a rapid heartbeat. Whether it be diuretic drinks or pills, it’s best not to overdo it with their usage and to keep an eye on the symptoms. Can Fruit Juices Be Diuretic Drinks? It’s a pretty simple question that makes sense to ask. A lot of fruit can be eaten as a natural diuretic, so it stands to reason that fruit juice could be a natural diuretic drink. That assumption is correct: there are some fruit juices that can be used as a diuretic. 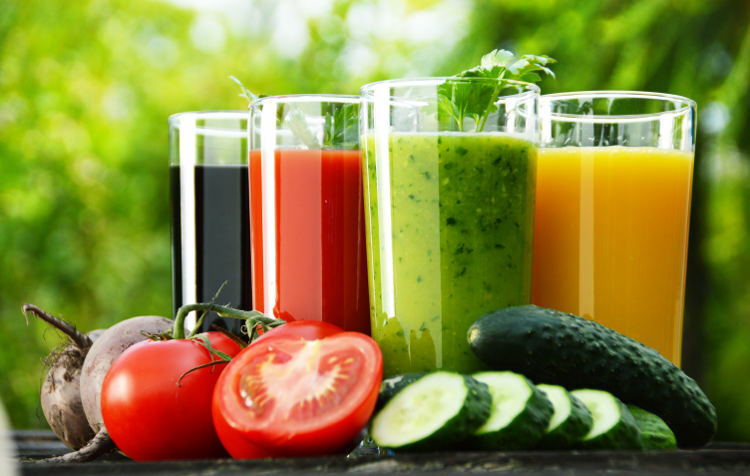 However, it is essential that you opt for natural and homemade fresh fruit juices. Also, ensure there is a fairly high level of potassium in your natural fruit juices, as it will help the sodium pass through urine. The juices of citrus fruit, like orange and lemon, work really well. Pineapple juice is also a very good diuretic, as is cranberry juice. The same properties that make cranberry juice great for urinary tract infections also make it a great diuretic. Beyond fruit juices, are there other drinks that can be used as diuretics? Of course, and many of them may already be a part of your daily routine. These can help you fight water retention and provide some added health benefits. Just keep an eye out for the possible side effects. Also, consult your doctor before introducing these in your diet as a diuretic and in case you experience any of the symptoms. Ogbru, A., “Diuretics,” RxList web site; http://www.rxlist.com/diuretics-page4/drugs-condition.htm, last reviewed April 25. 2016, last accessed February 13, 2017. “10 Natural Diuretic Foods To Lose Weight And Lower Blood Pressure,” NLDA.org; https://www.nlda.org/10-natural-diuretic-foods-to-lose-weight-and-lower-blood-pressure/, last accessed February 13, 2017.